TYSONS CORNER, VA, February 12, 2019 — A Huntington Ingalls Industries (NYSE: HII) business unit has secured a position on a potential $40M U.S. Navy contract for design and engineering services in support of marine platforms, GovCon Wire reported Monday. 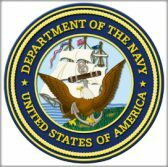 The Department of Defense said Friday the contract covers architectural, civil, electrical, electronics, environmental, industrial, mechanical and structural engineering work on naval vessels, ships, boats and craft, as well as technical research, troubleshooting, assessments, training, oversight and other associated services. HII Technical Solutions’ Fleet Support Group, Gryphon and Tridentis were the awardees on the contract.